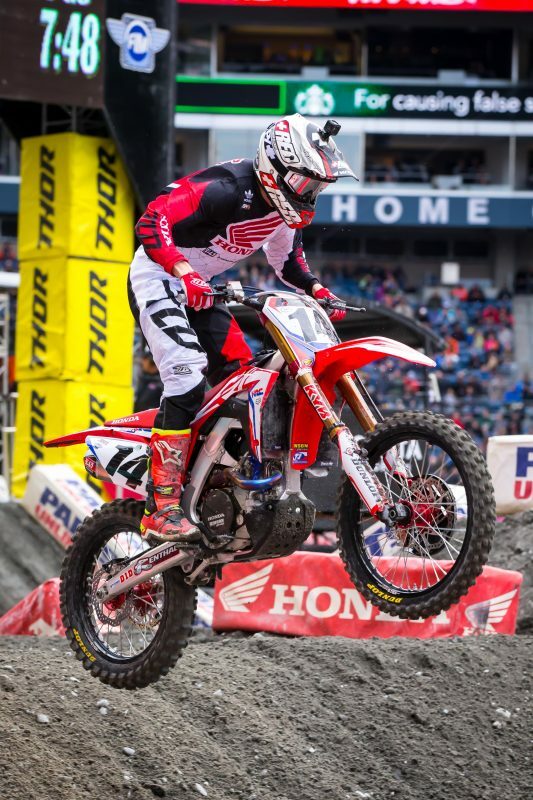 Round 13 of AMA Supercross didn’t go as planned for Team Honda HRC, as Cole Seely was sidelined for the evening after aggravating a preexisting groin injury during the daytime program. 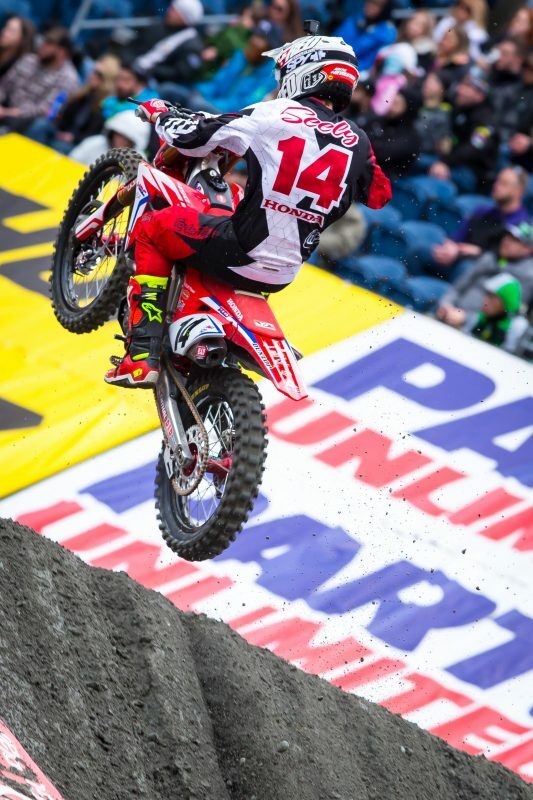 Halfway through the only qualifying session, Seely dabbed his left foot in a corner, twisting his leg and forcing him into the pits. After the Californian was evaluated by the Alpinestars Mobile Medical Unit, it was determined that he would not compete due to a possible tear in his adductor muscle. 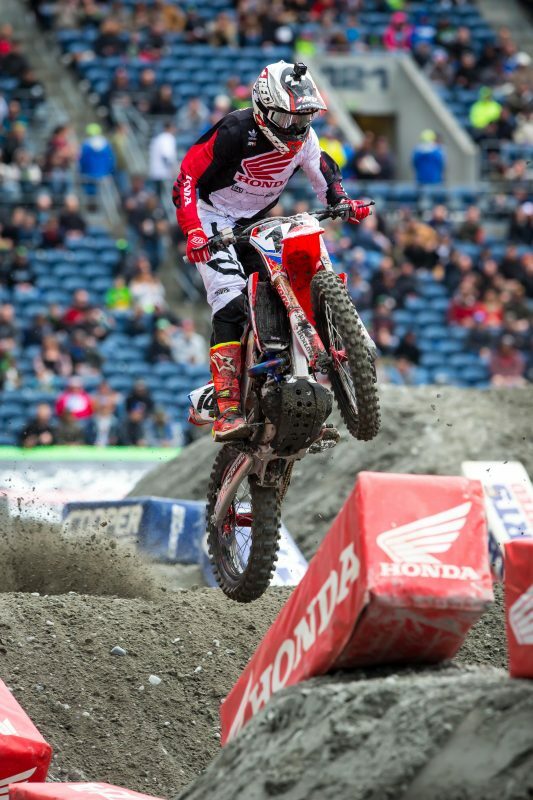 Seely will visit his physician this week to receive a full diagnosis and prognosis. 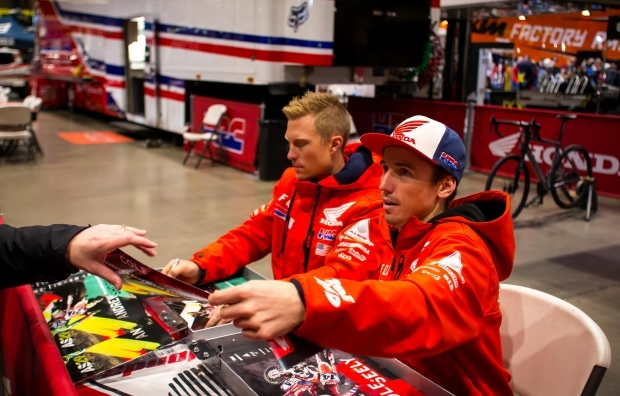 The evening before the race, Team Honda HRC’s Cole Seely and Andrew Short, along with GEICO Honda rider Jimmy Decotis, visited Hinshaw Motorsports in Auburn, Washington, to hang out with fans and sign autographs. Due to inclement weather leading up to the Seattle Supercross, promoters were forced to cancel not only the day’s free practice session but also the first timed qualifying practice, leaving riders with significant downtime throughout the day and only one 10-minute session to learn the track prior to the night program. 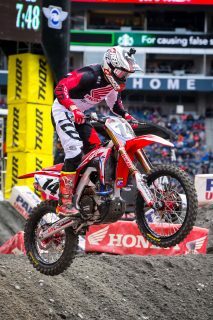 Through Seattle, the AMA Supercross series has been in action for 14 consecutive weeks, but now racers and teams will get a much-needed break over Easter weekend. The Honda Red Riders will return to action on April 22 for round 15 at Rice-Eccles Stadium in Salt Lake City, Utah. 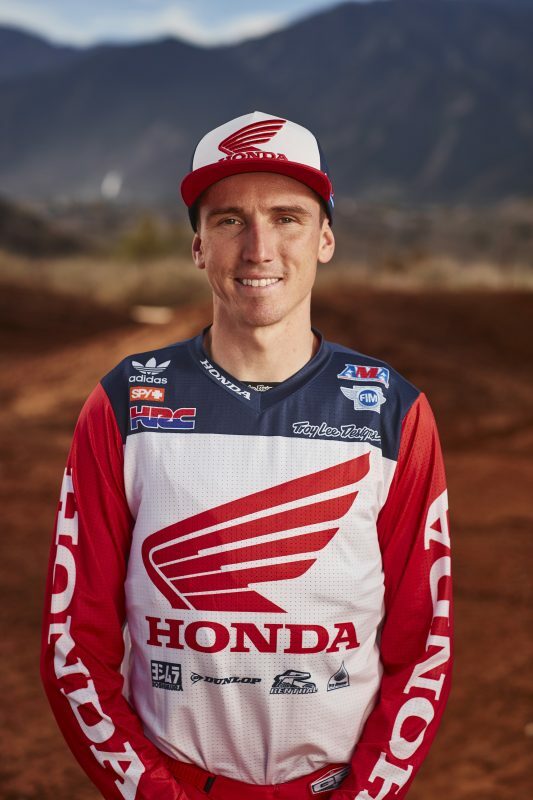 With supercross winding down, riders and teams are shifting their focus to the approaching AMA Pro Motocross series, and Team Honda HRC test rider Andrew Short has been doing outdoor testing at his home in Texas. For the next phase, team manager Dan Betley hit on a unique idea to increase the effectiveness of preparations. 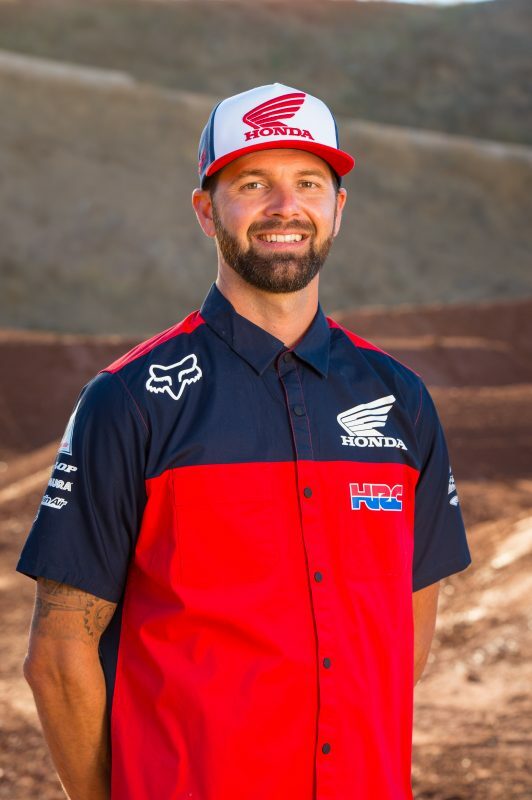 The test will take place in Central California this week, and in addition to Team Honda HRC and GEICO Honda, squads expected to participate include Red Bull KTM, Troy Lee Designs KTM, Rockstar Husqvarna and RCH Suzuki, so between 12 and 14 riders should be on the track at any given time. The expectation is that this should allow for realistic conditions and a better opportunity for chassis and suspension testing. I’m so bummed that I’m not able to race tonight. I first hurt my groin last weekend in St. Louis when I cased the triple in practice and my legs got ripped off the pegs. It was bothering me all week but I actually felt okay in the beginning of practice. Unfortunately, when I came into the left turn after the mechanics area and put my foot down, it ripped to the side again and I heard it pop. After that, it was instant pain. I went to the mobile medical unit and they think that it’s the adductor muscle in my groin but we won’t know until I get an MRI. I really feel bad for Cole. 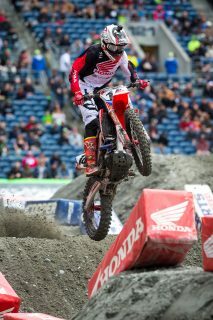 This is one of his favorite races and I think he could have done really well tonight and been on the podium. He likes tracks like this that are soft and pretty rutted. I could tell he just wasn’t himself this week, and then when he pulled off the track during practice, he was genuinely in some serious pain. I’m trying to stay positive and hoping we’ll be on the line in Salt Lake City, but we won’t really know until he gets checked out further.